Leadership Development | About Omar | First Financial Controller Inc.
As a partner of First Financial Controller Inc., Omar also is the founder and CEO of Executive 2000 Institute, and an exceptional visionary with over 30 years expertise in global retail human resources outsourcing and training development programs. His outstanding success with people and their productivity has won him the loyalty and devotion not only of his clients, but also the employee and management teams he has helped develop over the past decades. Omar has specialized in recruitment, organizational and leadership development, performance management, compensation and salary administration, talent development, succession planning, acquisition integration, HR shared services in a multi-division environment, HR start-up and communications. 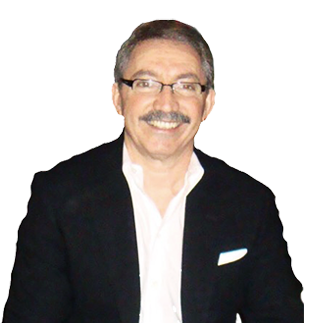 Over the past 30 years, Omar has helped SME and big corporations across Canada and the EMEA (Europe, Middle-East and Africa) region. Additionally, Omar devotes his life time to character-building and education. He was the co-author of “The Inner Global Village,” a book that became one of the most important works in developing tomorrow's leaders by infusing children with leadership character. Omar first came to Canada on scholarship after achieving first degree in Exact Sciences at the University of Algiers. He subsequently earned a bachelor’s degree in Business Sciences and Engineering followed by an Engineering Doctorate in Operations Management from Laval University in Quebec.